The YMCA of South Florida's (the Y) mission is to put Judeo-Christian principles into practice through programs that build healthy spirit, mind, and body for all. We cherish and instill our core values of caring, honesty, respect and responsibility. No matter what interests you, you will find it at the Y. One-on-one personal training, group exercise, weights, cardio, active older adults, swimming, basketball, and more. Kids can also find many camps and programs to choose from, all designed to spark their unique interests. Founded in 1916 to provide a safe haven for young people, today the Y fulfills the needs for people of all ages, from all walks of life regardless of their ability to afford service. The Y provides quality programs that are inclusive, goal-oriented, and celebrate the diversity and dignity of each individual. Here in South Florida, the Y delivers services through 10 family centers, 4 preschools, and over 200 community schools and parks throughout Broward, Miami-Dade and Upper Monroe Counties. And, while community priorities and needs change, the Y's goals remain the same - focusing efforts around youth development, healthy living, and social responsibility. 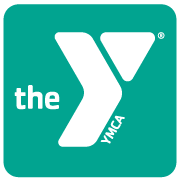 Within these areas, the Y achieves measurable and sustainable objectives for children, adults, and families by offering a variety of educational, recreational, fitness, and social programs that promote academic achievement, health and wellness, connecting communities in need with knowledgeable and effective "people who care." The Y serves as the largest nonprofit provider for afterschool programming in Miami Dade County. We provide and are partners of early care and education initiatives, provide educational, health, sports and social/civic programs for children, youth and teens. The Y serves the health and wellness needs of the whole individual, from infant to older adult. Among our feature programs we offer a nationally recognized Swimming and Safety Around Water Program; Active Older Adult Program; Programs serving children and adults with special needs; and a variety of health-wellness-social programming for the entire family. The Y encourages and through its work promotes social engagement. We have several programs centered around voluntarism, parent-child activities, Y Young Professionals Group, and an exciting Teen Leaders Series, that includes Y clubs, Youth in Government and camp (learning, internships, etc.). Learn more about Young Men's Christian Association of South Florida, Inc.